Chevron is one of the world's leading integrated energy companies. Offering some of the most dynamic career opportunities in the industry, Chevron Australia – headquartered in Perth – leads the development of the Gorgon and Wheatstone natural gas projects, and manages world-class operations and exploration activities. 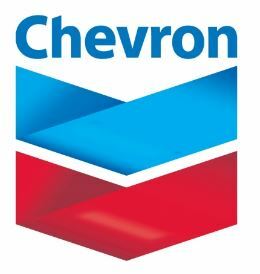 Chevron Australia recruitment 2017 has an exciting opportunity for Shipping and Marine Communications Officer to join the Marine Operations team. Reporting through the Marine Operations site leadership team, this role will be responsible for ensuring that LNG and condensate exports are undertaken smoothly to the satisfaction of all parties involved. This field-based role is initially for a two-year maximum term and will initially commence on Barrow Island on a four weeks on, four weeks off, rotational basis. Transition to the Wheatstone field-based Marine Operations team is likely to take place later in 2017, however the role is intended to provide coverage at both Gorgon and Wheatstone marine terminals as workload dictates. In return for these skills, attributes and experience, Chevron Australia will reward you with an exciting role, a competitive salary and a fantastic opportunity to develop your career with one of the world’s leading integrated energy companies. Chevron is proudly recognized as an employer of choice, guided by a vision of diversity and committed to equal employment opportunity.